Utilities use many different types of communication systems: Conventional PTT, data and SCADA. 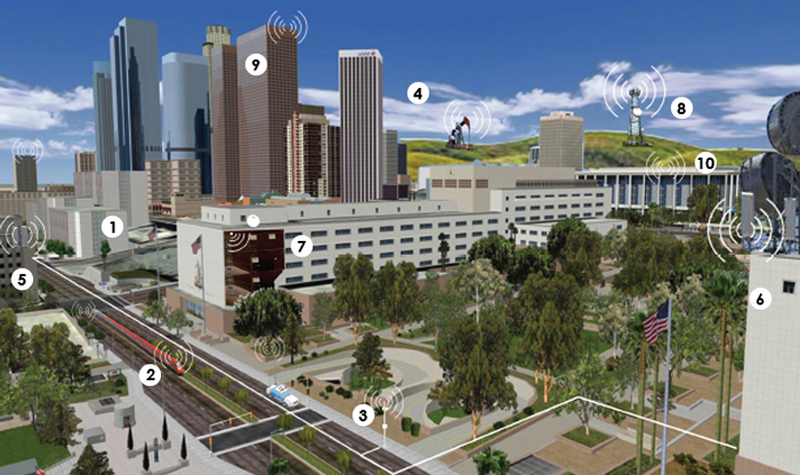 Talley provides the products that allow these wireless systems to get from point A to B. Transportation uses both voice and data communications. Talley provides the antennas, cable, connectors, infrastructure and other accessory type products to keep planes, trains and automobiles running smoothly. Campuses are now connected both wired and wireless solutions. Talley has support for your fronthaul, backhaul, wired, wireless, DAS systems, cables, antennas, custom cable assembly solutions and more. Energy customers use many modes of communications: PTT, Backhaul and Data. Talley provides the antennas, cable, connectors, infrastructure and other accessory type products to keep planes, trains and automobiles running smoothly. The medical field is an ever expanding venue with priority needs. With support in Distributed Antenna Systems (DAS) and In-Building Solutions (IBS) and only the highest of quality products for your needs, Talley can build your perfect site solution to keep Medical centers up and running at top speed. Talley carries a wide range of PtP and PtMP radios, antennas, Network Access Devices, towers, power systems and fiber cables to keep the service in connection with their employees. Public Safety is one of the fastest changing market segments for Talley. Our customers are going from low frequency, wide-banded channels to higher frequency, narrow banded channels and from analog to digital technologies. Talley carries the products to get the signal where it needs to go. From the tower to the radio and into the network, Talley represents vendors to get the signal to where they need to go. With industry knowledge in Fiber Optics, Copper Infrastructure, and Wireless transport, Talley can provide you with the best in class products for your solution. Talley carries a wide range of PtP and PtMP radios, antennas, Network Access Devices, towers, power systems and fiber cables to keep the hospitality industry in connection with their employees. Public venues are always running and need constant wireless attention. With support in Distributed Antenna Systems (DAS), In-Building Solutions (IBS), Inside and Outside Plants (ISP/OSP and only the highest of quality products for your needs, Talley can build your perfect site solution to make sure any public venues are always connected. Talley offers a comprehensive range of products for all your Connectivity solutions. We provide Fronthaul Solutions for Wireless Network Access and Backhaul Solutions for Edge, Core or Back Office. Our fiber optic and copper connectivity product lines are made for outdoor distributed antenna system (ODAS), fiber-to-the-antenna (FTTA), indoor distributed antenna system (IDAS), outside plant (OSP) and inside plant (ISP) environments. We provide end to end connectivity. Facilitating the high capacity networks requires a solid backbone for both capacity and redundancy. The backhaul backbone can comprise of traditional wire, broadband or microwave. Below are various specs on transporting data. Copper and fiber are key building blocks of Carrier Networks. Copper used in Power-Over-Ethernet (PoE) solutions are more common than TDM circuits of yesterday's networks. Today Fiber Optics provides the capacity needed in today's and tomorrow's networks. Inside and Outside Plant (ISP/OSP) both have specific requirements pertaining to the needs of the network. A Base Station at a cell site typically requires both inside and outside products to support the network's needs. The geographical and physical location of a site might also dictate how those needs would vary. If locations are very remote, building and /or maintaining a site can quickly become cost prohibitive. Distributed Antenna System (DAS) and In-Building Solutions (IBS) enhance coverage, capacity and signal strength over a carrier's network within a square area or venue.